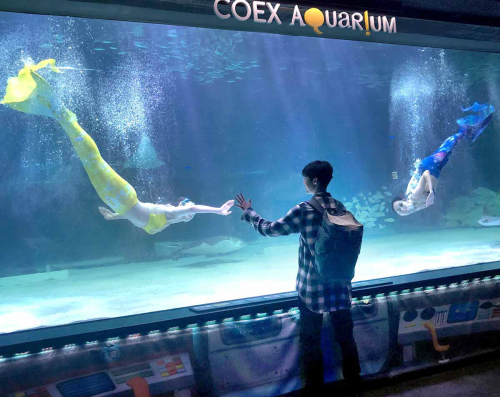 Coex Aquarium has introduced a set of programs for this summer including extra performances by its divers and a session where visitors can lie down on a bean bag and enjoy the sight of aquatic life. Throughout July and August, except Mondays, the “Healing Time” session is being held at the Deep Blue Square of the aquarium where special performances are held. 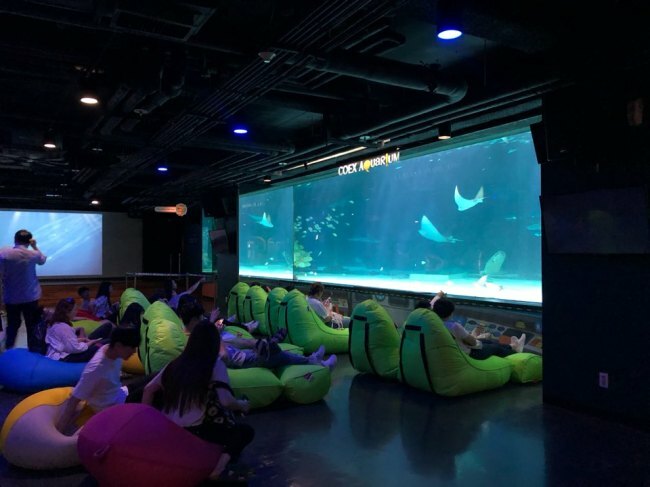 But from 6:30 p.m. until closing time, bean bags are brought out for visitors to relax while a commentary on the fish swimming in the giant tank -- including a school of 20,000 sardines -- takes place. “This is meant to be a cool resting spot with light and marine life for people, an escape from the blazing heat of summer,” officials at the Aquarium said. In parallel to the event, “Na Hit! Aquarium” from Friday to Aug. 5, and Aug. 10-15 is being held, during which operating hours are extended by one hour until 9 p.m., and special underwater performances are added to the repertoire. For more information visit www.coexaqua.com.